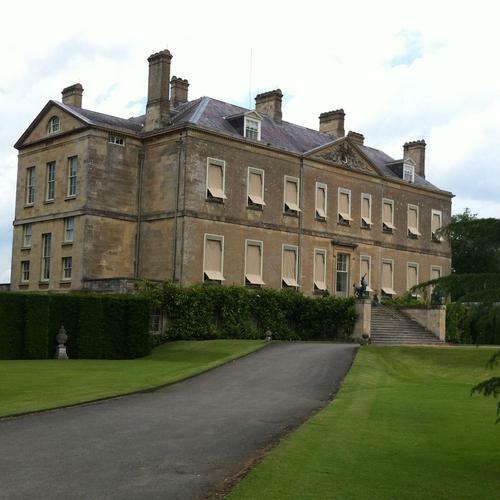 Buscot Park is a country house at Buscot near the town of Faringdon in Oxfordshire. It was built in a neoclassical style between 1780 and 1783 for a local landowner, Edward Loveden Townsend. The house and estate was bequeathed to the National Trust in 1956 and is occupied and managed by the present Lord Faringdon. The mansion and its extensive formal and informal gardens and grounds are open to the public each summer. 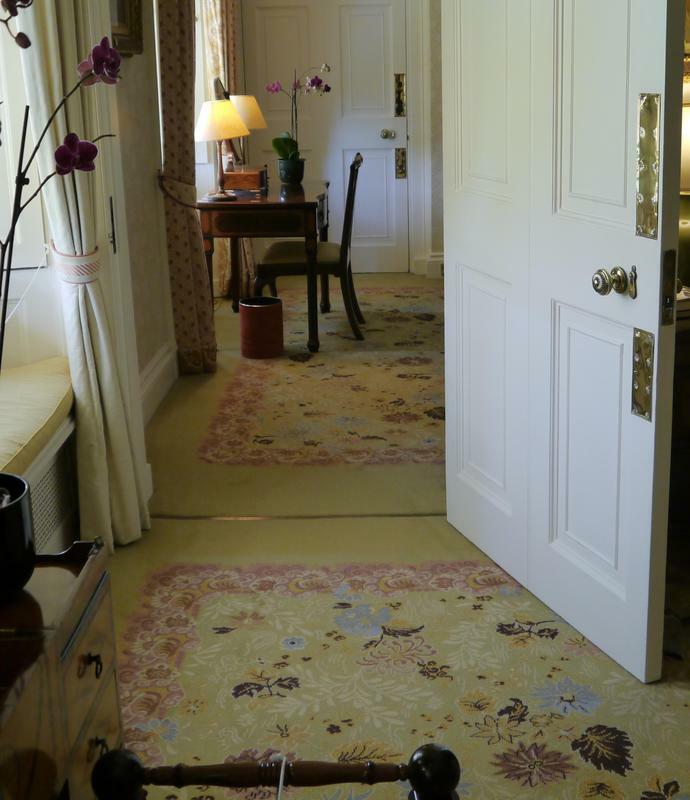 Brintons was commissioned by Interior Decorator, Lynette Hood to create bespoke carpets for The Pre-Raphaelite Rooms. 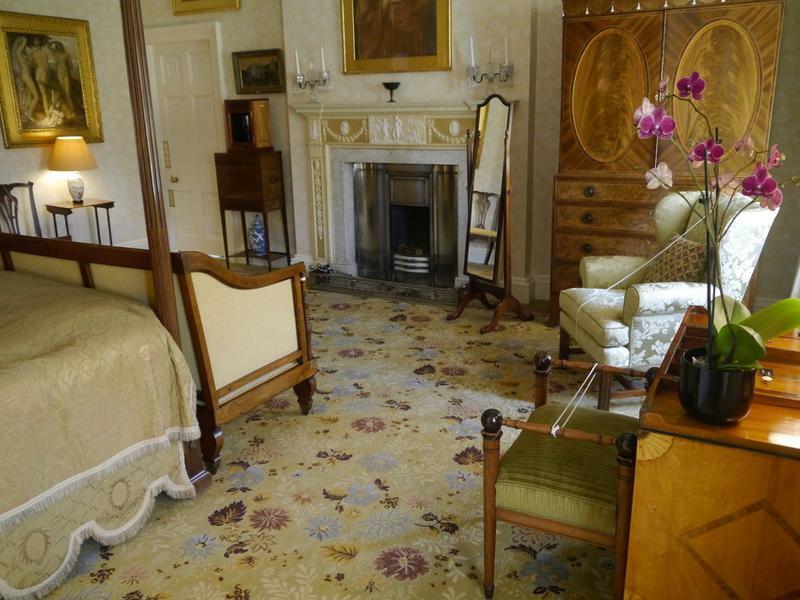 The room’s redecoration was developed with historical sensitivity to the property and Brintons’ archive was utilised to identify carpet designs, which were authentic to the Victorian period. 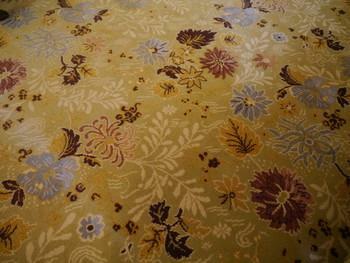 A design from 1891 was selected and served as inspiration for the final carpet design. The highly elaborate border has been simplified to suit the scale of the two rooms and the yarns were dyed to replicate the exact original colours. 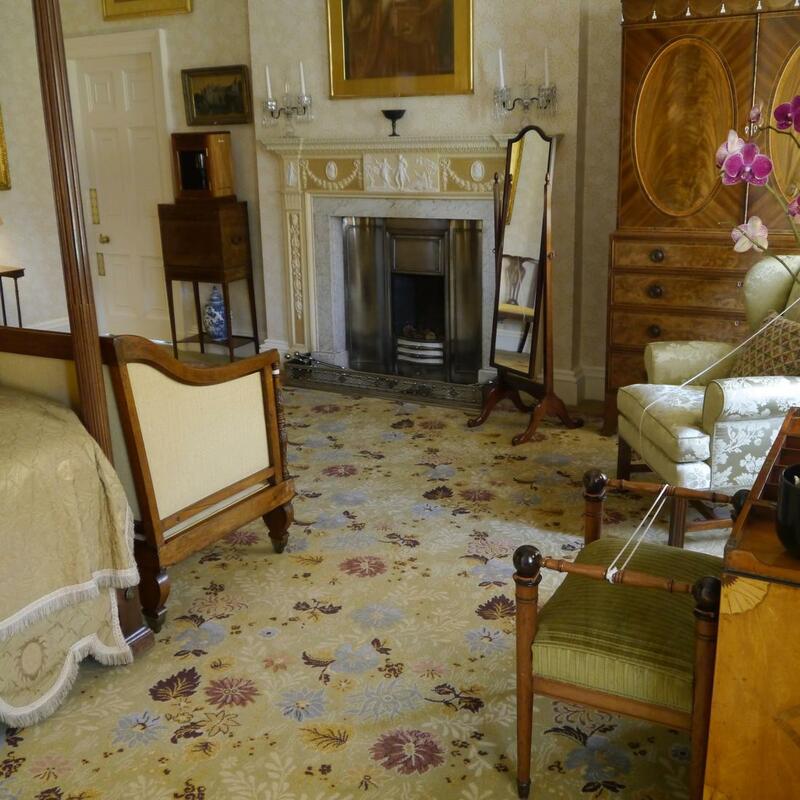 I was keen to find a design contemporary with the first Lord Faringdon’s acquisition of the Buscot Estate and interest in and purchase of many of the fine paintings and drawings in these rooms. Brintons kindly allowed me to look through their extensive archives where a rather unusual design on paper dated 1891 caught my eye. Part of the pattern was missing, but Jo Portman (designer at Brintons) added some artwork and we chose coloured yarns ready for a trial. 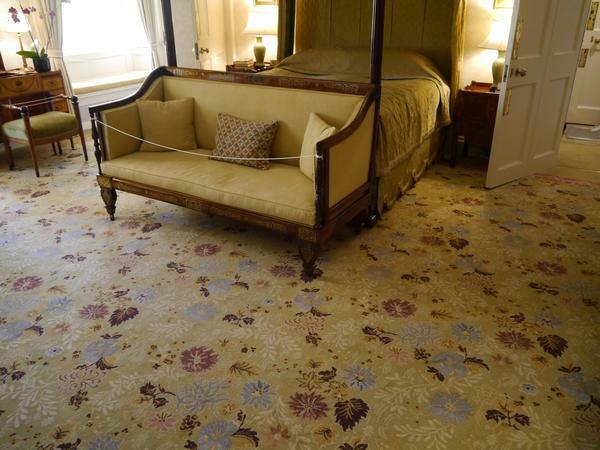 I was delighted to learn from Yvonne Smith at Brintons that we might assume this would be the first time a carpet had been woven from this antique paper pattern and therefore unique to Buscot. 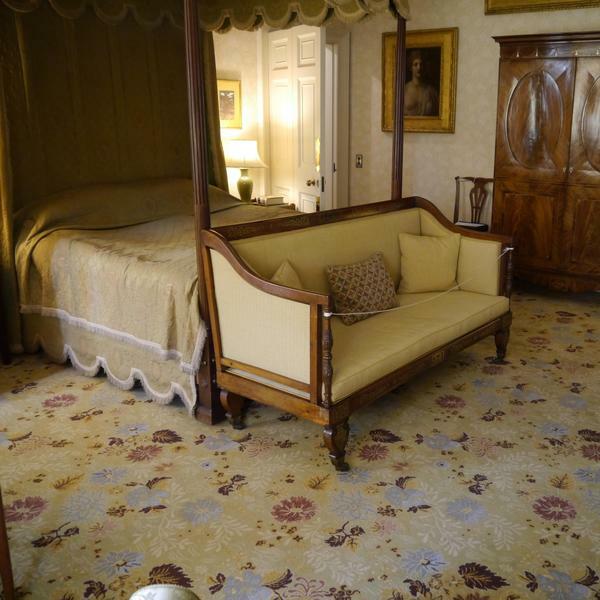 The elaborate border was reduced to suit the scale of the rooms and following a second trial the project went ahead. 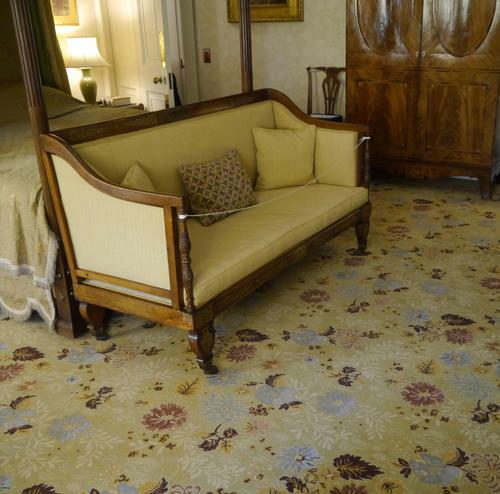 The carpet has fitted perfectly into this room and has drawn many compliments.